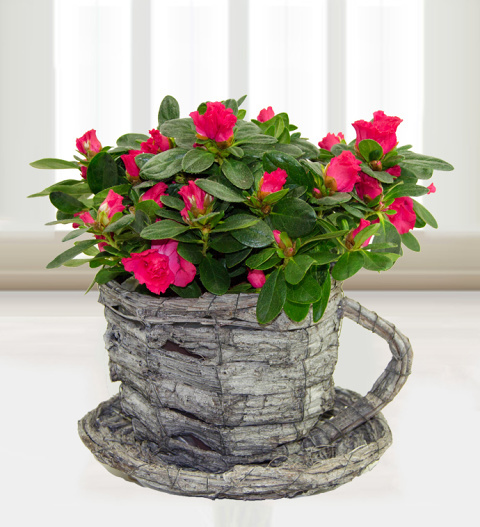 Azaleas are a gorgeous plant and a perfect gift beautifully displayed in this wicker tea cup! Free box of chocs included with every tea cup! Easy to look after, the plant will be sure to delight! Chocolates may contain nuts.